(CNN) - President Donald Trump has said repeatedly that a final trade deal between the US and China will be negotiated directly between him and his counterpart Xi Jinping, but on Friday, he floated the idea of bringing two more people to the table: Democrats Nancy Pelosi and Chuck Schumer. "I'm thinking about doing something very different," Trump said at a Rose Garden press conference. "Any deal I make, toward the end I'm going to bring Schumer -- at least offer him -- and Pelosi. I'm going to say, 'Please join me on the deal.'" It was a striking acknowledgement of the fact that Trump will inevitably be criticized by Democrats for any trade agreement he makes, even as he circumvents it on his push for a border wall. The Trump administration is under pressure from both sides of the aisle to close a deal that would end years of concerns over Chinese subsidies, theft of intellectual property and its practice of forcing American companies to hand over their technology in exchange for market access in China. "If the president doesn't produce outcomes on those issues, he's going to face some significant challenges," said a person briefed on the negotiations. "Forget the Democrats, regardless of what he produces, there are folks in his own party, who are very concerned." The President demurred on when this might all happen, saying there was "a possibility" he might extend his March 1 deadline before imposing radical tariff hikes on billions in Chinese goods, though top aides have signaled in recent days that talks will go past that date -- especially since Trump is scheduled to travel to Vietnam to meet with North Korean leader Kim Jong Un, and doesn't have plans to add a Beijing stop. Pelosi and Schumer's offices did not immediately respond to requests for comment. Top trade negotiators for the US and China agreed this week during a round of talks in Beijing to meet again next week in Washington. The Chinese government is pushing for a 60-day extension in talks given all that is at stake for the two countries' economies, including wreaking havoc on the global economy, according to the person. "Given the stakes another 40 or 60 days to get it right would seem like a decision rooted in common sense," said the person. In a promising sign, Xi met briefly with the US delegation on Friday and delivered a positive message about headway achieved this week. 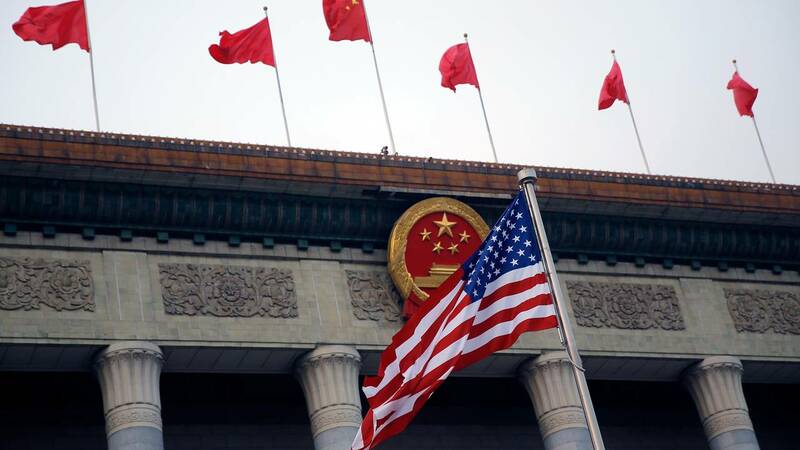 He said the latest round of negotiations "achieved important progress for the current stage" and confirmed plans for a round of talks next week, according to China's Xinhua News Agency. "I have repeatedly said that China and the United States cannot be separated from one another," Xi said. "Only through cooperation can a win-win situation be attained, and confrontation will certainly lead to a lose-lose scenario." US Treasury Secretary Steven Mnuchin tweeted that the two sides had "productive meetings" and posted a group photo of the negotiators. The White House was slightly more cautious. In a statement early Friday morning, White House press secretary Sarah Sanders said that "much work remains," even after progress was reached over "detailed and intensive discussions" between the two sides. Trump said in his Rose Garden remarks that talks went "extremely well" and that negotiators are "a lot closer than we ever were" to a comprehensive trade deal with China. But he quickly added: "Who knows what that means, because it only matters, if we get it done." The world's top two economies imposed tariffs on huge swathes of each other's exports last year, causing major disruptions for businesses, rattling financial markets and endangering global growth. The President has repeatedly sent mixed messages on negotiations, including in the days immediately following his December dinner with Xi in Argentina, at which they agreed to restart a lightning 90-day round of talks. Trump expressed optimism but also tweeted, "I am a Tariff Man." He repeated that riff on Friday, declaring "I love tariffs." He proudly talked about the billions of dollars "pouring" into the US Treasury -- though he again suggested, incorrectly, that the money is being paid by China. In fact, it's being paid by US importers, and in some cases passed on to US consumers. Trump also talked about the revival of the US steel industry thanks to penalties he's imposed on all imports. Talks this week centered on some of the tougher demands by the United States, including forcing American companies to hand over their technology for entrance into the Chinese market, intellectual property rights, cyber theft and currency, Sanders said in her statement. The United States also signaled for the first time in Sanders' statement that commitments made between the two sides would be stated in a memoranda of understanding. The Chinese have not addressed that agreement yet in public remarks. Not discussed in the readout by the United States was the subject of enforcement, a point that Trump's top trade negotiator Robert Lighthizer has repeatedly pressed for as an essential part of any agreement. "They are in a tough spot," said Craig Allen, president of the US-China Business Council. "If it's not a good agreement, it will fall apart in six months. It will be worse off than before because trust will be at an even lower level."